The concept of self-programming computers was closer to science fiction than reality just ten years ago. Today, we feel comfortable conversing with smart personal assistant like Siri and keep wondering just how Spotify guessed what we like. It’s not just the mobile apps that are becoming more “intelligent”. Advertising encouraging us to interact and install those apps has made its way onto a way new quality level as well. Thanks to advances in machine learning (ML), the baseline technology for AI, mobile advertising industry is now undergoing significant transformation. SDK spoofing accounts represented 37% of ad fraud. In SDK Spoofing malicious code is injected in one app (the attacked) that simulates ad clicks, installs and other fake engagement and sends faulty signals to an attribution provider on behalf of the “victim” app. Such attacks can make a significant dent in an advertiser’s budget by forcing them to pay for installs that never actually took place. Click injections accounted for 27% of attacks. Cybercriminals trigger clicks before the app installation is complete and receive credit for those installs as a result. Again, these can drain your ad budgets and dilute your ROI numbers. Faked installs and click spam accounted for 20% and 16% of fraudulent activities respectively. E-commerce apps have been in the fraud limelight this year, with nearly two-fifths of all app installs being marked as “fake” or “spam”, followed closely by games and travel apps. Forrester further reports that 69% of marketers whose monthly digital advertising budgets run above $1 million admit that at least 20% of those budgets are drained by fraud on the mobile web. If the issue is so big, why no one’s tackling it? Well, detecting ad fraud is a complex process that requires 24/7 monitoring and analysis of incoming data. And that’s where AI comes to the fore. Intelligent algorithms can operationalize large volumes of data at a pace far more accurate than any human analyst, spot abnormalities and trigger alerts for further investigation. What’s more promising is that with advances in deep learning, the new-gen AI-powered fraud systems will also become capable to self-tune their performance over time, learning to predict, detect and mitigate emerging threats. One of the biggest selling points of “AI revolution” across multiple industries is the promise to automate and eliminate low-value business processes. Mobile advertising is no exception. Juniper Research predicts that by 2021, machine learning algorithms that increase efficiency across real-time bidding networks will drive an additional $42 billion in annual spend. Again, thanks to robust analytical capabilities ML-algorithms can create the perfect recipe for your ad, displaying it at the right time to the right people. Google has already been experimenting with various optimizations for mobile search ads. The results so far are rather promising. Macy’s, for instance, has been leveraging inventory ads and displaying them to customers’ who recently checked-up on their products and are now in close geo-proximity to the store holding the goods they looked up a few hours ago. AdTiming has been helping marketers refine their approach to in-app advertising. By leveraging and crunching data from over 1000 marketers, the startup has developed their recipe for best ad placements. “Prescriptive analytics will tell our users when is the best time to run their ads; what messaging to use and how frequently the ad needs to be displayed in order to meet their ROI while maintaining the set budget,” said Leo Yang, CEO of AdTiming. Just how competitive AI-powered real-time ad bidding can be? A recent experiment conducted by a group of scientists on Taobao – China’s largest e-commerce platform – proves that algorithms are performing way better than humans. Manual bidding campaigns brought in 100% ROI with 99.52% of budget spent. Algorithmic bidding generated 340% ROI with 99.51% of budget spent. It’s clear who’s the winner here. Algorithms are better suited for detecting patterns than a human eye, especially when sent to deal with large volumes of data. They can effectively group and cluster that data to create rich user profiles for individual customers – based on their past interactions with your brand, their demographic data and online browsing behaviors. This means that you are no longer targeting a broad demographic of “women (aged 25-35), based in the US”. You become capable to pursue more niche audiences, exhibiting rather specific behaviors e.g. regularly engaging with hair care products in the luxury segment on social media. This insight can be further applied by an AI system when entering an RTB auction to predict when your ad should be displayed in front of the consumer (matching your profile) and when it’s worth a pass. The best part is that AI-powered advertising is no longer cost-prohibitive for smaller companies. With new solutions entering the market, it would be interesting to observe how the face of mobile advertising will change in 2019 and onward. Next year will mark a major milestone for media consumption in France. According to eMarketer’s latest forecast of time spent with media, the average adult will spend more time with digital media per day than TV, a first for that country. Also next year, time spent with mobile devices will surpass desktop and laptop time. In 2017, eMarketer estimates, adults in France will spend almost 4 hours per day online on desktop or laptop PCs or with nonvoice mobile activities. This compares to 3 hours and 51 minutes watching television. Daily TV viewing time will actually rise slightly, by 0.1%, while total digital media consumption will be up by just over 5.0%. In another first for the country, next year adults in France will spend more time accessing the internet through mobile means rather than desktop or laptop PCs. This year, the average adult will spend 1 hour 41 minutes on nonvoice mobile activities, compared with 1 hour and 44 minutes of internet use on desktops and laptops. Although mobile media consumption is booming, this year adherence to traditional media, such as print and radio will still be relatively popular in France. This year, eMarketer expects, adults will spend 35 minutes a day with print, compared with 3 hours and 46 minutes for digital. Time spent with both newspapers and magazines is forecast to drop this year, by 3.1% and 2.4%, respectively. By 2018, eMarketer predicts, adults will spend just 34 minutes per day with print, compared with 4 hours and 7 minutes for digital. Roughly half of US ad agency professionals said their clients are most interested in advertising on spot TV or spot cable—more than any other medium including digital, mobile, streaming video and radio, April 2016 research revealed. Media buying and selling software provider Strata surveyed 84 US ad agency professionals who were at the media director level or higher at agencies of varying sizes. When it came down to the advertising media their clients were most interested in, TV was the top choice. Digital was second. Indeed, 31% of US ad agency professionals said their clients were most interested in advertising on that medium. Few respondents said their clients were most interested in advertising on mobile. eMarketer estimates that digital—which includes mobile—is neck-and-neck with TV ad spend in the US. eMarketer expects outlays on digital ads will hit $68.82 billion in 2016, while TV spending will total $70.60 billion. Nevertheless, no other medium can challenge TV’s dominance of the US advertising market. According to eMarketer, spending on every other medium combined, which includes print, radio and out-of-home, doesn’t come close. BBC Media Action is the BBC’s international development charity. We use the power of media and communication to help reduce poverty and support people in understanding their rights. Our aim is to inform, connect and empower people around the world. “>[≈ population of Brazil, nation] in 28 countries and are made up of debate shows, dramas, radio and TV programmes, public service announcements, mobile phone services and face-to-face communication. We also provide mentoring and training for journalists and development professionals. An extensive research and evaluation process underpins all that we do; it strengthens our work, helps us to evaluate impact and reach and increasingly contributes to the exchange of ideas in the policy sphere. Our overarching goal is to help people make sense of events, engage in dialogue and take action to improve their lives. Paris – Exclusive research from Socialyse (Havas Group’s social media solution) shows that 63% of “switchers”i will change their mobile device, and 23% will change their device and carrier. The study identifies a clear switching process including four key phases –Information Gathering, Active Research, Decision Making and Deal Hunting. It also demonstrates the important role of social media: 25% will turn to Twitter to inform their decision, and Twitter ranks among the Top 5 point of contacts for research.  There are 3 key consumer motivations for a switch: improving current equipment, ie device and/or price; urgent needs like breakage or theft; and rewarding customer outreach at contract end-date. There were some differences by region: a higher level of motivation related to contracts in Europe and a higher level of motivation to change devices, plans or carriers in Latin America.  For devices, the Top 5 criteria for a switch were (in order): Price, Technical Characteristics, Operating System, Camera Quality and Brand.  For carriers, the Top 5 criteria for a switch were (in order): Network Coverage, Network Quality, Price, Internet Speed and Included Services.  Despite being confused at first, most people feel positively about the change.  Twitter users stay informed with news and deals available on the market, are more likely to be both experts and influencers for others seeking new devices or carriers, and are more at ease with switching.  With 25% of all respondents turning to Twitter to inform their choice of smartphone or carrier, use an everyday Twitter strategy and targeted messaging to reach users at the right time and right place.  As a key touchpoint at each phase, tailor Twitter targeting to reach consumers at each distinct step in the Telco switching process: Information Gathering, Active Research, Decision Making and Deal Hunting.  Consider influencer partnerships with Niche to combine the benefits of impartiality and trust with the existing power of utility and information that brands’ tweets have to drive purchase.  Twitter is most impactful in the stages leading to a final decision in the switching journey. Combine an everyday strategy with TVxTwitter to drive campaign success.  Twitter users tend to be more influential among their peer groups as layman experts in the telco field; Connect with and cultivate brand advocates on Twitter to grow a valuable base of earned brand coverage through outreach & advocacy.  Seed promotions one month prior to the launch of a new device/plan to align with the average consumer switching cycle of 30 days. Research institute CSA contacted smartphone users aged 18-50 who have or will change their mobile device and/or plan in the past/next 3 months, across the UK, France, Germany, Spain, Brazil and Mexico. The study included two phases: 1) a qualitative analysis including focus groups and one-on- one interviews, and 2) an in-depth qualitative online survey. 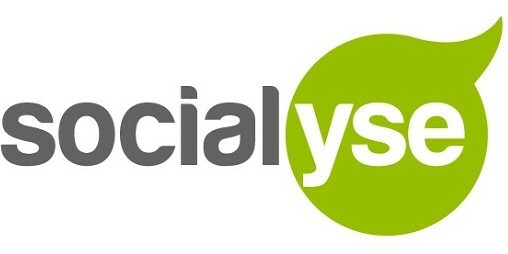 Launched in 2013, Socialyse is the social media solution of Havas Group. Socialyse provides a unique integrated and synchronized social media offer, including strategy, content, media and analytics. Innovative tools include the Social Rating Point and the powerful Socialyse Newsroom. With specialized talent and best-in-class technology, Socialyse guarantees both performance and prices. With over 720 social media experts based in 38 local offices and operating in 80 countries, Socialyse combines the agility of a startup and the strength of a powerful global network. Le marché du smartphone sature. Vite vite, il faut trouver de nouvelles technologies différenciatrices dit le Gartner. Batterie, immersion, personnalisation, affichage, connectivité ; le point sur ce qui pourrait changer. Recharge rapide : Qualcomm promet 80% de recharge en 35 minutes via sa technologie Quick Charge 3 de recharge rapide. La plupart des géants du secteur et de la communauté scientifique planche sur la batterie en elle-même et sur les matériaux employés. Quick Charge 3.0 est disponible cette année sur les processeurs Snapdragon 820, 620, 618, 617 et 430. Le Gartner promet que cette technologie peut changer la donne pour de nombreux fabriquants. Chargement sans fil : Qi, un des projets les plus abouti en la matière, en est à sa seconde version. Une batterie pourrait être rechargée en 30 minutes avec cette nouvelle mouture. Surtout, Qi bénéficie d’une liste de partenaires importante (Asus, HTC, Huawei, LG Electronics, Motorola Mobility, Nokia, Samsung ou encore Sony). Réalité virtuelle et augmentée : La réalité augmentée ne concerne pas que les lunettes HoloLens assure le Gartner. Elle peut être utilisée sur un smartphone ou une tablette, à des fins de traduction par exemple de signalétique physique, ou de maintenance prédictive. Côté réalité virtuelle, on croise désormais nombreux smartphone pour des dispositifs tels que le Samsung Gear VR ou le LG 360 VR. Authentification biométrique par capteur : L’authentification biométrique devrait permettre de aux utilisateurs d’assurer la sécurité des paiements mobiles et de stocker des données personnelles plus détaillées sur les smartphones. Le Gartner mentionne que la démocratisation de l’authentification biométrique devrait permettre d’accélérer ces usages. Le cabinet précise que la détection d’émotions et d’humeur est une piste suivie par certains constructeurs. Assistants personnels virtuels (APV) : 40% de l’interaction mobile sera facilitée par des agents intelligents d’ici 2020 assure le Gartner. Déjà, 74% des utilisateurs de smartphones utilisent fréquemment des APV, au moins un par jour (38%) et plusieurs fois par semaine (36%). Ecrans souples / courbés : Samsung est le dernier fournisseur a avoir fait parler de lui sur ce sujet. LG est aussi sur les rangs. “Le problème est de trouver les bons cas d’usage associés car pour le moment personne ne sait vraiment quoi faire avec” explique Richard Windsor, analyste chez Edison Investment Research. USB Type-C : Le standard USB-C est encore loin d’être généralisé, mais ce standard est amené à se répandre assure le Gartner. Mais il faudra avant faire le ménage. SIM embarqué (e-SIM) : La bonne vieille carte SIM amovible va-t-elle finalement disparaître ? Apple et Samsung y travaillent. Intégrée et soudée directement dans les terminaux elle permettra aux usagers de changer d’opérateur sans avoir à remplacer la puce. Un gain de temps et une plus grande souplesse à la clé pour les clients et, pour les fabricants, la possibilité d’affiner le design des terminaux débarrassés d’un logement pour une SIM amovible. Le Gartner mentionne enfin deux autres technologies, les solutions de caméra à multiples lentilles et le Wi-Fi 802.11. Ce sont ces domaines dont l’amélioration permet potentiellement de réduire les soucis des utilisateur de smartphone, proposer des nouvelles capacités, ouvrir de nouveaux modèles d’affaires, ou créer de nouvelles expériences. Mary Meeker’s annual Internet Trends report is one of the most closely watched reports in the tech industry, and this year’s presentation underscores the growth of mobile, particularly on social platforms that now control the bulk of ad spending and time spent by users. Here’s a look at seven of the most interesting stats in Meeker’s more than 200-slide deck presented at Re/code’s Code Conference today. Marketers are sick and tired of hearing about “the year of mobile,” but Meeker’s presentation shows that mobile is indeed far outpacing desktop-based ad revenue. “>[≈ all real estate in Bronx, NYC, 2010] in 2015, more than a 20 percent increase over 2014. Mobile ad revenue grew by more than 66 percent, while desktop was up just 5 percent. “>[≈ NASA budget in 2011] untapped opportunity for U.S. brands to catch up with how people consume media. By comparison, consumers spend 22 percent of their time on their desktops, and advertisers allocate 23 percent of budgets to desktop advertising. Like it or not, Mark Zuckerberg has created an advertising juggernaut. Between 2014 and2015, Facebook’s ad revenue grew 59 percent, with the bulk of ads running on mobile devices. Meanwhile, Google’s ad revenue was up 18 percent over the same time period. While Google’s increase may seem modest compared to Facebook’s, consider that all other digital players collectively increased their ad revenue 13 percent. Together, Facebook and Google controlled 76 percent of internet advertising. Meeker’s presentation included data from video company Unruly suggesting that the boon in online advertising isn’t great for consumers. Ninety-two percent of 3,200 internet users surveyed said that they’d consider using an ad blocker, and 62 percent of people said that they are annoyed by preroll ads. The study also found that 81 percent of video ads are muted and require consumers to click to play sound. Speaking of ad blocking, Meeker also presented new research from PageFair finding that more than 400 million users globally block ads served on the mobile web compared with200 million desktop users. The results should be taken with a grain of salt, though, since PageFair’s technology helps publishers work around ad blockers and mobile ad blocking has only been “a thing” for a year. Meeker pointed to two Snapchat campaigns—one for Spotify and one for Universal Pictures’ Furious 7—from last year as examples of how short videos work in mobile. Universal sponsored a Live Story for Miami’s Ultra Music Festival in March 2015 that generated more than 14 million views. And in December, Spotify increased subscription intent by 30 percent when it ran a campaign within the Discover section promoting its top artists of the year. Despite constant reports that Facebook isn’t cool for teens and young adults, the social platform still reaches the most millennials, according to the comScore data Meeker shared. The data measured the average monthly minutes per visitor, with Facebook, Instagram and Snapchat claiming the most reach. Interestingly, Yahoo-owned Tumblr only reaches a little over 20 percent of 18- to 34-year-olds but averages 200 minutes spent per user each month. Twitter meanwhile reaches more than 50 percent of millennials but averages considerably less time spent. Brands are increasingly embracing bots and chat-based marketing—and for good reason. The chart below shows the quick rise of WhatsApp, Facebook Messenger and WeChat in the past six years and how they compare to site-based Instagram, Twitter and LinkedIn.